It’s hard to find an organisation that doesn’t need – and want – to improve the way leaders communicate. Whether the goal is to improve performance, increase employee engagement or create a safer working environment, better communication will be part of the solution. This solution will often include building leaders’ communication skills through a series of workshops and coaching programmes. It’s a practical approach that can bring powerful results. To get the best return on your investment in such development programmes, it’s important to make sure that they are designed to challenge leaders’ beliefs about communication as well as building their communication skills. When you both challenge beliefs and build skills, you’ll find leaders change the way they communicate more quickly – and you’ll get change that sticks long term too. Here are three common beliefs that are most likely crippling the way your leaders communicate right now. Make sure your development programmes are designed to challenge these beliefs strongly enough that leaders are open to change, and yet do so in a way that doesn’t damage their self-esteem and confidence along the way. Leaders are ‘time poor’ and see this as a barrier to communicating well. They believe that good conversations take a lot of time. Make sure your programmes show your leaders how to have quality ‘on-the-go’ conversations – interactions that may be as brief as two or three minutes – as well as the conversations that are allocated more focussed, in-depth time. The belief that good communication requires all parties involved to have the same good habits can give leaders a reason not to bother. You can challenge this belief by demonstrating that, when leaders communicate well, something miraculous happens – the people they’re communicating with communicate better too. 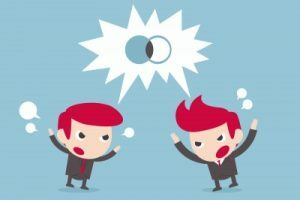 While there are some naturally skilled communicators in every organisation, there are also plenty who believe they’re ‘doing it right’ when other people’s experience is quite the opposite. These leaders believe they listen well, ask great questions and share information with clarity and purpose. Such misguided self-belief puts up major barriers because, if leaders don’t believe they need to change, then they’re unlikely to be open to making that change. Only when you challenge these crippling beliefs can you create the fertile ground that will help your leaders excel as communicators.